The new HD Expert line-up of engine antifreeze/coolant was introduced to the U.S. and Canadian markets in the first quarter 2018. Further expansion to global markets will follow! The strategic messaging of a Professional Heavy Duty Antifreeze/Coolant line with ONE FOCUS, offers products that get the job done – on & off road. Our specialized formulas are made for the hardest working heavy duty engines on earth. 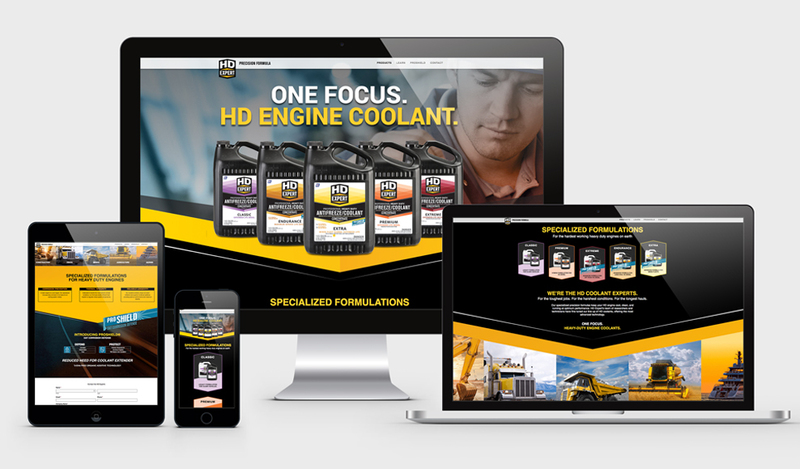 See the HD Expert website with information on our HD coolants, each offering the most advanced coolant technology for maximum performance. From start-to-finish HD Expert’s team of specialists are focused on one thing – making the best HD engine coolants for all heavy duty engines. From our proprietary formulations and custom blending to high-volume packaging and delivery, our global facilities produce the highest quality HD coolants 24/7.